Suppose the currently logged on user has been assigned to an organization unit which is only allowed to sell product with name “Laptop”, then this business user SHOULD ONLY see those entries whose value in ProductName equals to Laptop as well. That is to say, the last two entries in above picture with ProductName Monitor should be filtered out. For demonstration purpose I just reuse the standard field “Department Name” to store the name of sellable product. And I assign myself to this organization unit, which means Employee Jerry Wang is only allowed to sell Laptop. Now I implement this dynamic access control into a new OWL named TestBORestricted_OWL. Below is the achievement: I have put this new OWL into a new tab in Thing Inspector and once launched, only entries whose ProductName equal to Laptop are displayed. Other entries are filtered out due to the fact that this employee is not allowed to sell them. And implement the following ABSL code to fill the transient field with product name which is allowed to sell for current logged on user. 2. In new TestBORestricted_OWL, create a new field ProductName under search structure SearchParameters. 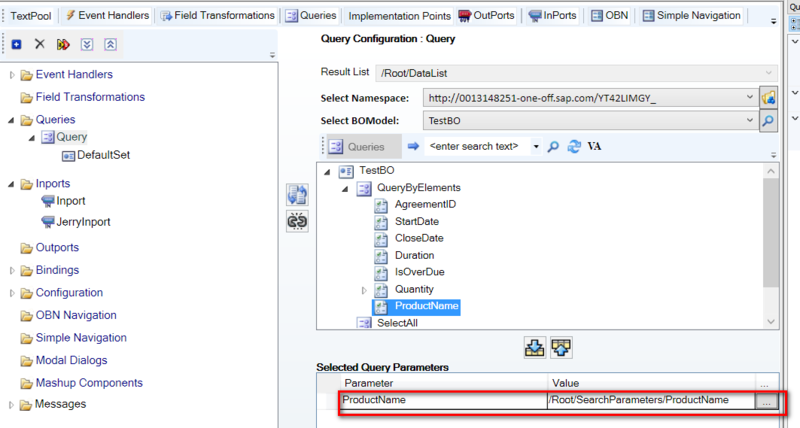 Bind the query to QueryByElements modelled in TestBO and bind the query parameter ProductName to the field ProductName under SearchParameters. Create a new inport and bind the parameter to the field mentioned above as well. 3. Create a new outport in Thing Inspector, bind the parameter productName with the transient field DepartmentName filled in step 1. Bind the parameter of outport defined in TI with the one in inport of new OWL. 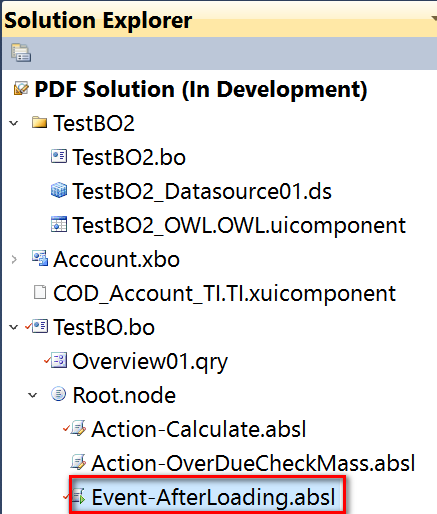 With all the steps above done, the sellable product name calculated by ABSL is passed from TI to new OWL via parameter passing during navigation, and could be considered during the query of new OWL is executed. As a result the restriction takes effect due to this ProductName search parameter.